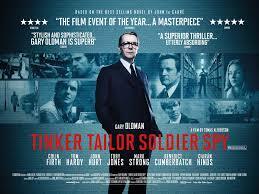 Tinker Tailor Soldier Spy is the latest adaption of the classic 1974 John Le Carre novel. Most people of a certain age remember the earlier mini-series version of the book with Alec Guiness playing the aging master spy, George Smiley. The central role in this version belongs to Gary Oldham, the best character actor working in cinema today. The other key players are likewise filled by seasoned British actors. This is a prestige production. As in The Spy Who Came In From The Cold, the world of espionage is not a thing of beauty. Everyone looks in bad health, smokes too much when they’re not slamming down another scotch. Oldham in the role of George Smiley has a thin personality, if he has one at all. He’s cold and dedicated to his work: finding the Eastern bloc agent who has moled his way to the top of British secret intelligence. The back story told in a series of flash backs. It’s set in 1973. The story begins with Control, the head of the British Intelligence Service, which is known as London Circus, being confronted by his subordinates. Percy Alilline (Toby Jones) claims to have found a source of information on the doings of the Soviet Russian military. Backing his source, which is code-named “Witchcraft”, are Bill Haydon (Colin Frith), Roy Bland (Caran Hinds), and Toby Esterhase (David Dencik). Control feels the material is too good to be true, as does George Smiley. Control (played by the great John Hurt) has long suspected there is a soviet spy working at the top levels of the British Secret Service. He brings one of his top agents, Jim Prideaux (Mark Strong) into his office and lines up a series of chess pieces with a different suspect name on each one. Each suspect has a different name from a famous nursery rhyme, thus the “Tinker, Tailor, Soldier” scheme. Recently, he’s been contacted by a Hungarian general who might have information naming the mole. 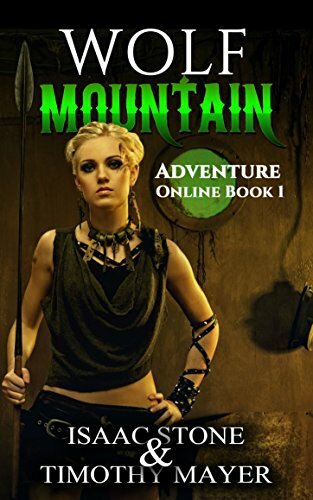 Control sends Prideaux into Hungary with orders to meet the general and find out what he knows. But the mission goes terribly wrong, with Prideaux ambushed by Russian agents and nearly killed. After the uproar in the British government, Control is removed and George Smiley sent into retirement. But soon the government calls Smiley out of retirement when they realize Control might have been right. Control has passed away. There’s a “scalphunter” (i.e., black operative) agent who has gone rogue, claimed to have knowledge of the mole before he did. It’s up to the cold, calculating Smiley to find the mole. Opposing him on the other side is his Russian equivalent, Karla, who is just as brilliant as Smiley and several degrees more ruthless. Smiley describes Karla as a fanatic, someone who would rather die than admit he was wrong. Smiley is given two assistants, but works closely with Peter Guillam (Benedict Cumberbatch), a much younger man. Smiley eventually makes contact with the rogue agent, Ricky Tarr (Tom Hardy). Tarr describes his encounter with a Russian agent in Turkey who claimed to have the name of the mole inside London Circus. Her price for the information was safe passage to Britian. But hours after Tarr had telegraphed a coded message with his discovery to London, Russian goons spirited the woman away. They also killed Tarr’s immediate boss in Turkey to throw suspicion on Tarr. When Smiley has Peter Guillam lift the daily call logs from the guarded archives of London Circus, its discovered the call sheets on the day of the message were cut-out. Furthermore, a long time intelligence analyst is fired when she started making noise about the significance of a Russian cultural attaché stationed in London. Eventually, Smiley has to confront the government officials who brought him back from retirement and let them know what he believes: Operation Witchcraft is being used by Karla as a scheme to trade low-level Russian information (“chicken feed”) pre-selected by Moscow Circus to get at high quality British secrets (“treasure”). And the whole operation organized by the mole who reports directly to Karla. In effect, all of London Circus is in thrall to Karla. The film uses music as an actor. Most of the selections match the scenes to perfection. For instance, a Turkish nightclub encounter has Sammy Davis Jr.’s rendition of “Spinning Wheel” in the background. The final scene, with everything resolved in a grizzly manner, has Julio Inglasis warbling “La Mer”. The London Circus Christmas party, which the movie keeps coming back to, has the assembled drunken spy minions belting out the lyrics to both “Second Best Secret Agent In The Whole World” and the national anthem of the USSR. The film returns often to the Christmas party where you see the staff of London Circus boozing it up and letting loose. Santa Claus make a visit in a Lenin mask. One gets the impression this is the only time the spooks show their true selves. Married security agents are chasing after secretaries and Smiley himself discovers his wife cheating on him with a college. Given the staff of London Circus is constantly surrounded by notices and posters warning about security breaches, you’re not surprised they break down eventually. You never see the faces of two of the key players. Smiley’s philandering wife Ann is only seen at a distance and from the rear. Why she ever married a cold and calculating machine is not explained. You hear Karla’s voice, but never see his full profile. In one key scene his hand clutches a cigarette lighter Smiley gave him the only time the two ever met. I’ve always imagined Karla to be a functional psychopath: someone who doesn’t hesitate to use his abilities to get what ever he wants, but who also knows just how far he can go. Comparisons are plenty to the 1980 TV adaptation of the Tinker Tailor novel, but, having seen the earlier one too, both are very well done in their own way. The new adaptation eliminates some of the sub-plots, but retains enough of book’s complexity to make it an excellent version. There’s no arguing with all the awards this new adaptation received.